This may be worth following up on. Here’s the official press release. (Also, the Missoulian has a good summary: Bullock to create citizen panel to discuss future management of grizzlies in Montana.) . 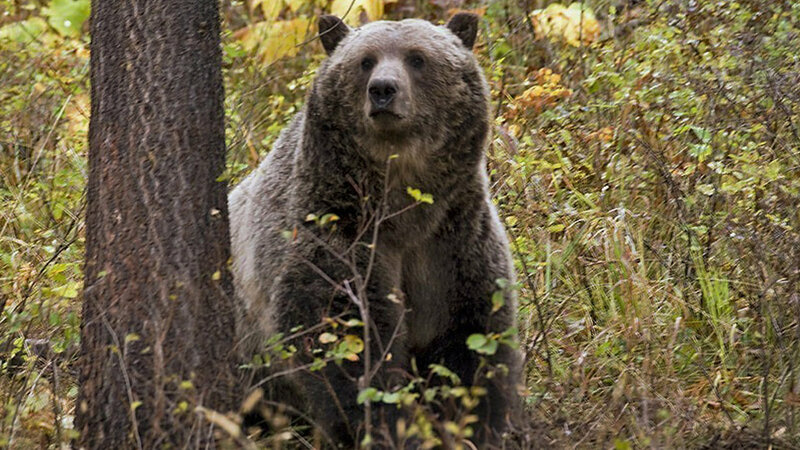 . .
MONTANA – Governor Steve Bullock today announced that he will establish a Grizzly Bear Advisory Council to help initiate a statewide discussion on grizzly bear management, conservation and recovery. The Council will be selected through an application process that ends April 12th. “The recovery of grizzly bears in the Northern Continental Divide and Greater Yellowstone ecosystems is a great conservation success. Still, official federal delisting has yet to come to fruition,” Bullock wrote in a memo to Montana Fish, Wildlife & Parks Director Martha Williams. 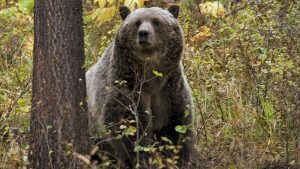 Montana is home, in whole or in part, to four grizzly bear recovery zones designated by the U.S. Fish and Wildlife Service (FWS): the Greater Yellowstone Ecosystem (GYE); the Northern Continental Divide Ecosystem (NCDE); the Cabinet-Yaak Ecosystem; and the Bitterroot Ecosystem. While grizzly bear numbers have surpassed recovery objectives in the GYE and NCDE, they have yet to reach recovery levels in the Cabinet-Yaak and Bitterroot. Grizzly bears in the lower 48 states are officially under the jurisdiction of the FWS, but much of the day-to-day management of bears in Montana is done by FWP in partnership and with oversight of the FWS. The FWS delisted the GYE grizzly bear population under the Endangered Species Act in 2017, but a federal court decision last fall relisted the population. This delayed the delisting process for the NCDE and resulted in an appeal of the GYE decision by the State of Montana and others. Grizzly bear populations continue to expand, in some cases into areas they have not occupied for decades. Management challenges and conflicts have increased. FWP, along with partner agencies such as the U.S. Department of Agriculture Wildlife Services and the FWS, work together to respond to conflicts as they occur. However, the situation has become increasingly complex as bears move into areas of Montana outside of existing recovery zones, such as the Big Hole Valley, Little Belt Mountains, and the plains east of the Rocky Mountain Front. Developing strategies to ensure a timely and appropriate response to these conflicts and addressing the needs of communities and landowners most impacted in these areas are key priorities identified for the advisory council’s deliberations. Improving intergovernmental, interagency, and tribal coordination. The Council will focus on providing recommendations to the Governor’s Office, FWP, and the Fish & Wildlife Commission that are clear and actionable on how to move forward with grizzly bear management, conservation and recovery. It will consider several pressing issues including bear distribution, connectivity between ecosystems, conflict prevention, response protocols, outreach and education, and the role of hunting and necessary resources for long-term population sustainability. Governor Bullock is looking for a broad cross-section of interests to serve on the Council, including livestock producers, wildlife enthusiasts, conservation groups, hunters, community leaders, Tribal Nation representatives and outdoor industry professionals. Council application information can be found online at http://fwp.mt.gov/fishAndWildlife/species/grizzlyBear/default.html.